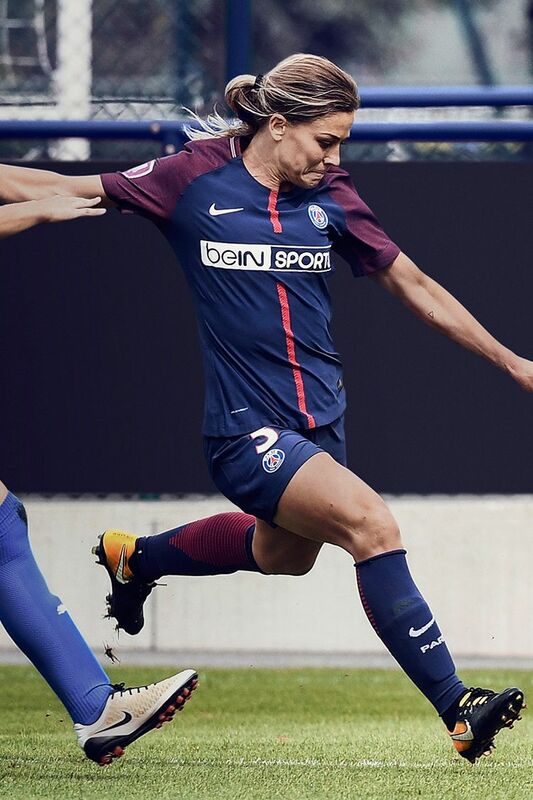 Paris Saint-Germain is Paris. 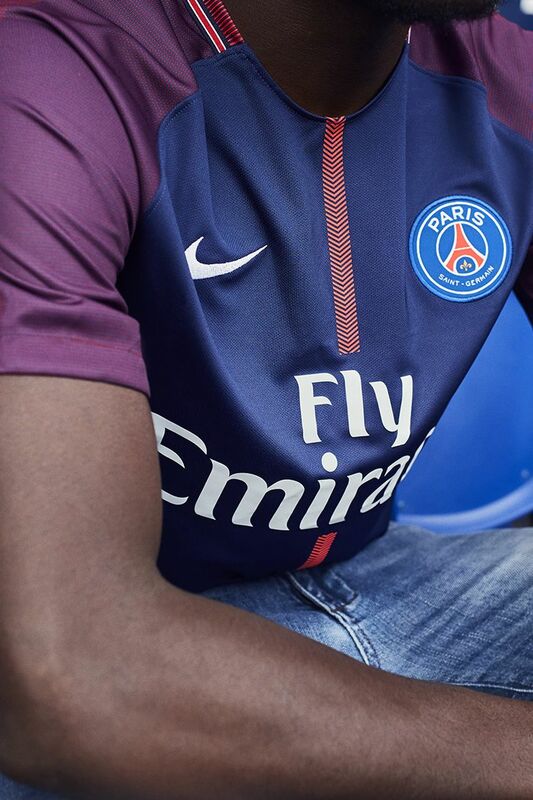 With the symbolic red beacon of the Eiffel Tower down the chest, that bond is the foundation of the 2017/18 Home Kit. 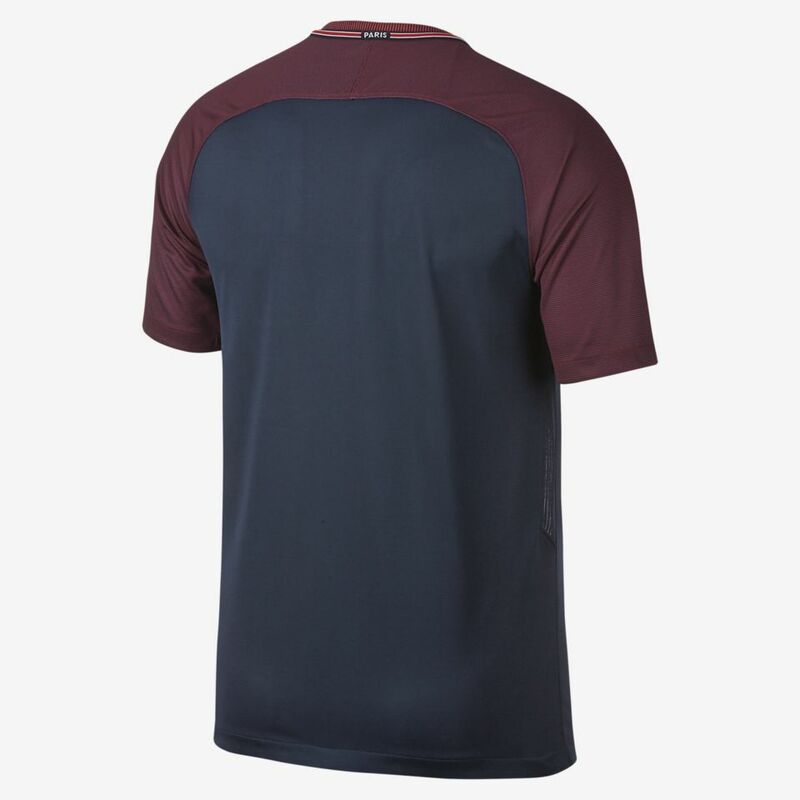 Following the club's historic rouge-et-bleu colours, navy blue dominates the body of the home kit, with red accents across the shoulders. Running down the chest is a red chevron stripe, representing the Eiffel Tower's iconic beam. 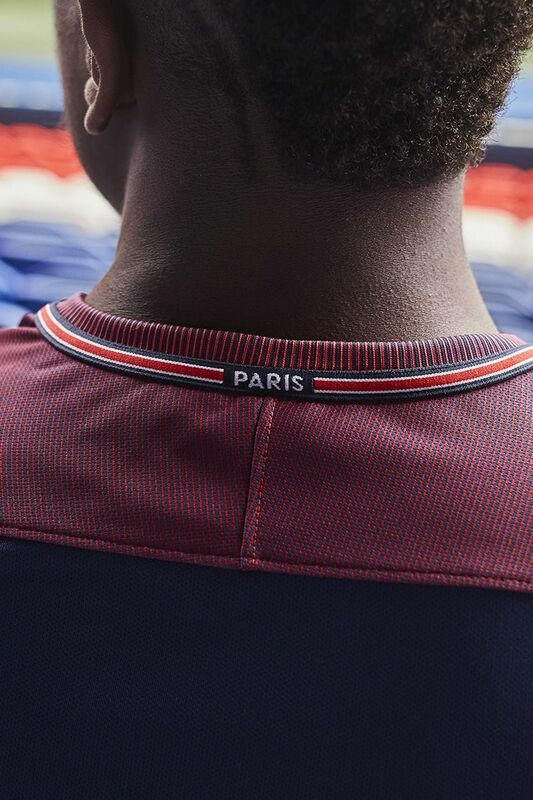 Further pride for their home city appears on the back of the collar with the embroidered lettering, "Paris". 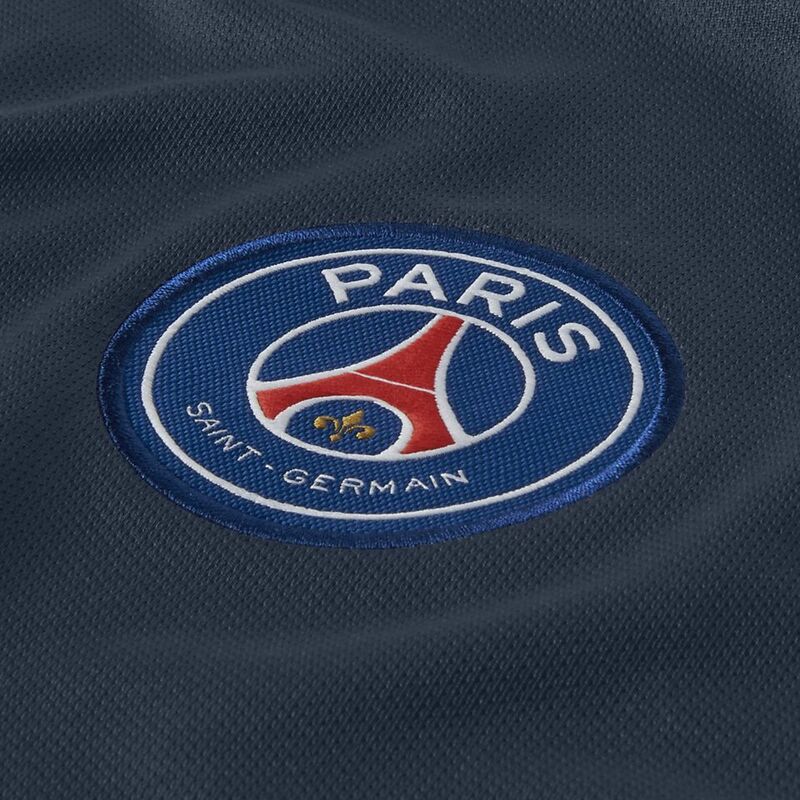 Founded in 1970 with the ambition of being the best team in Europe, Paris Saint-Germain boasts more titles than any other French club. 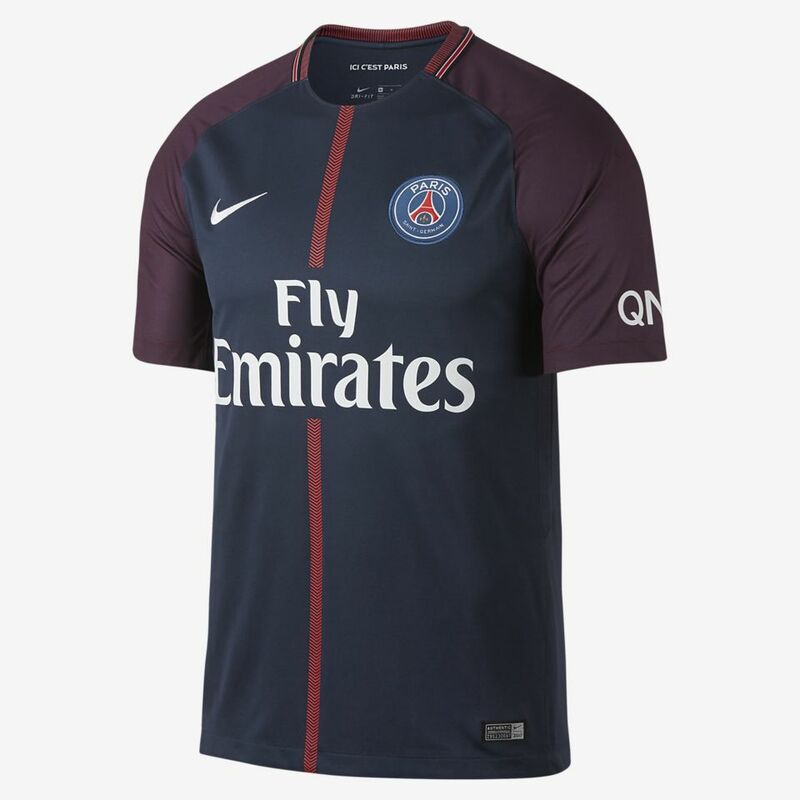 The current version of their badge celebrates the team's deep-seated roots in Paris with the Eiffel Tower and Lys Flower, the symbol of Louis XIV, who was born in Saint-Germain. 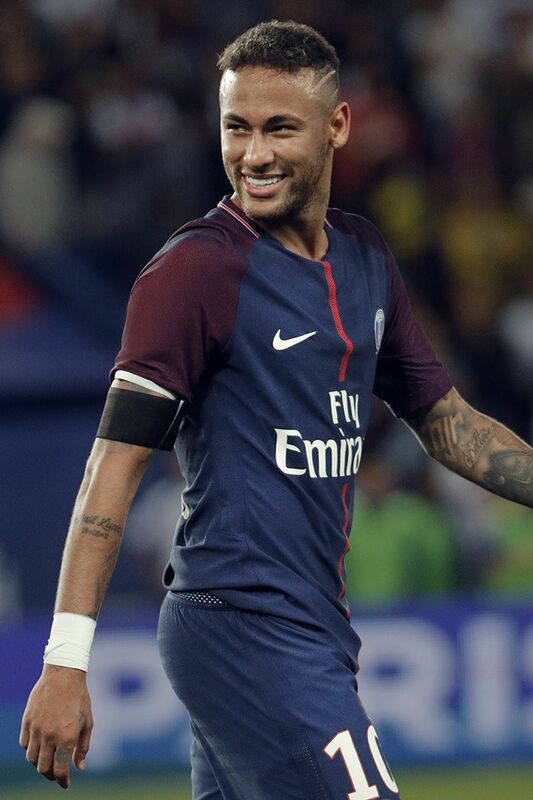 As vibrant as Paris itself, their style of play is built on a fusion of European precision and Brazilian flair, from Ronaldinho to Neymar Jr.